Posted on Sun, Feb 12, 2012 : 3:30 p.m. While we’re all waiting for spring, the library has programs to entertain us indoors and remind us of Michigan’s outdoor pleasures. 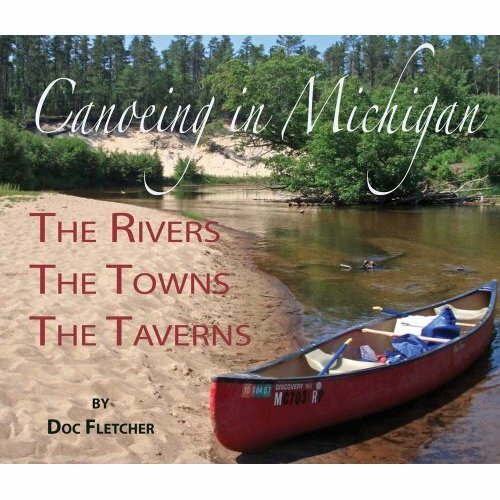 On Thursday, March 15, at 7 p.m., PBS-featured Michigan author Doc Fletcher will present Paddling Michigan’s Hidden Beauty, a photographic journey down Michigan rivers, sharing fun experiences and the history of riverside towns. At the end of the program there will be a drawing for a free day canoe or kayak trip, donated by state liveries, and Doc will sign and sell his books. On Sunday, April 22, at 2 p.m., a representative from the Detroit Institute of Arts Speakers Bureau will help us celebrate spring by taking attendees on a tour across continents and through history to discover the special meaning behind flowers and plants and their use in art. Looking for something a little more active? How about a little dancing - BollyFit Belly style? On Sunday, May 6, 2 pm, there will be an opportunity for females 13 and up to try their luck at an exciting dance creation that fuses Bollywood and Middle Eastern dance styles. Have fun while getting some great exercise! No experience is necessary. All of the above programs take place in the library’s Brecon Room and require advance registration. Grab a slot while they’re still available by calling the library at 429-5450 or stopping by the Adult Reference Desk to sign up. The library is located at 555 N. Maple Road, Saline. (734) 429-5450. Also, check us out online at salinelibrary.org.